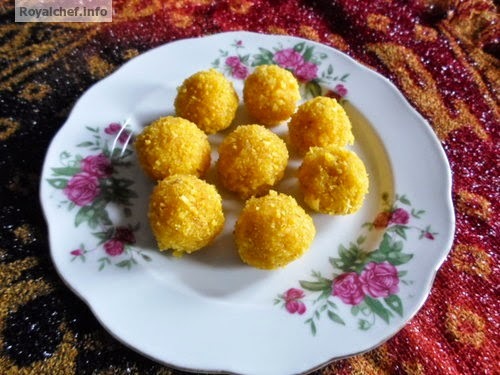 This is a simple and easy to follow Recipe for preparing at home delicious Mango-Coconut Laddu. This recipe is similar to the one posted just before this one of the Bournvita Laddu. This Ladoo preparation uses Fresh Mango Pulp instead of bournvita. Another great Laddu for kids, it is easy to prepare without consuming much time or effort. The Mango Coconut Ladoo is also an uncommon sweets dish for the Diwali Faral. 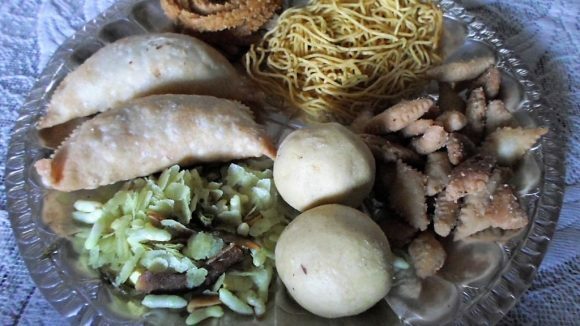 Mix all ingredients in the Kadhai and cook till the mixture become thick and then prepare laddu.